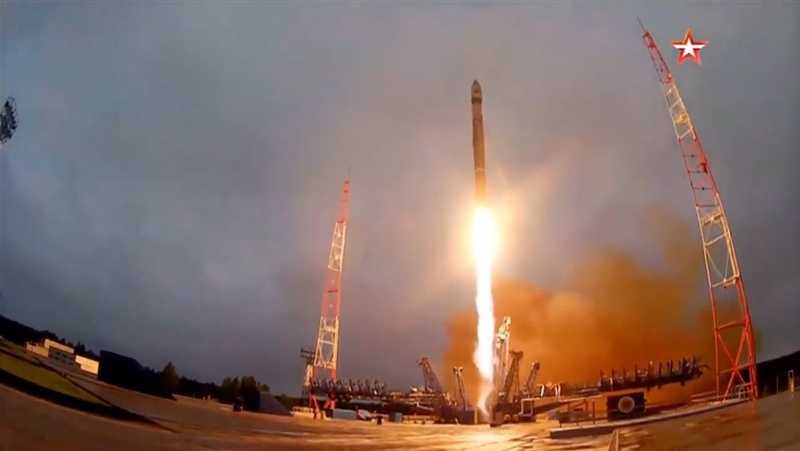 Vidcap of a recent (June 23rd, 2017) Kosmos 3M launching in a similar configuration to the BOR-4 launches of 1982 and 1983. On June 4th, 1982, a Kosmos-3M launcher shot BOR-4 serial number 404 out of the atmosphere for the first time. Once in space the vehicle deployed itself into orbit, eight micro-thrusters orienting the tiny craft as it flew. 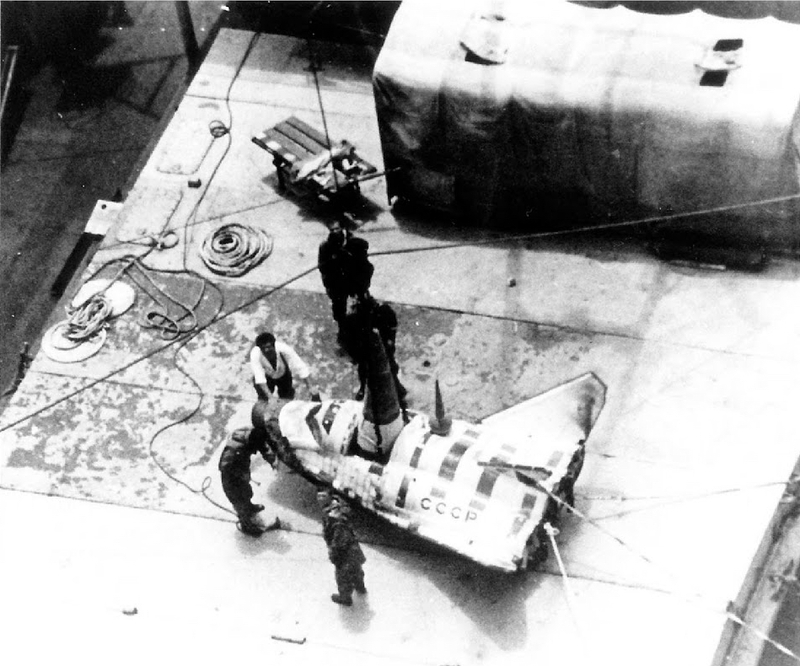 The wings, which had been folded up over the fuselage inside the fairing, were unfolded to a dihedral of about 57º and, after a single earth orbit, BOR-4’s solid-fuel rocket was fired to decelerate the craft and initiate a cross-range flight toward the planned Indian Ocean splash down. As it scorched back into the upper atmosphere, BOR-4’s battery of sensors transmitted data to the earth stations and monitoring ships below. 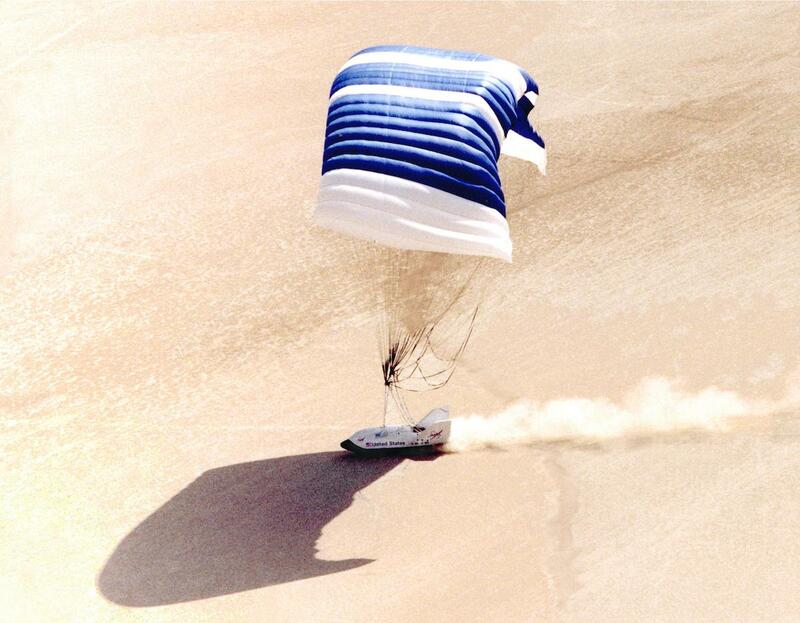 At around 30 km altitude (98,000 ft) the ship began a steep, spiralling descent which helped retard its forward speed, before a ballistic parachute deployed at 7.5 km (24,000 ft) altitude to reduce the vertical speed to about 1,400 ft/min for the final descent. 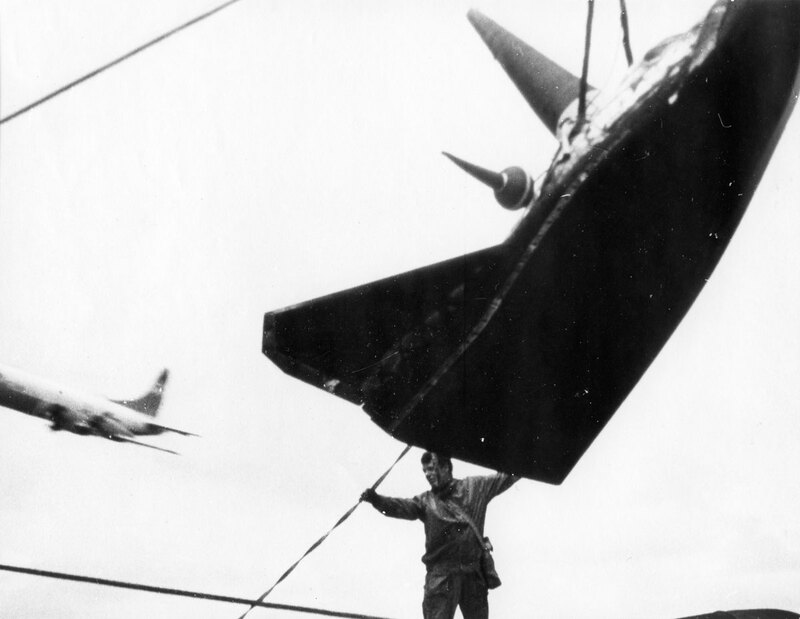 The craft splashed into rough seas 300 nm (560km) south of Australia’s Cocos Islands and, staging out of the airport there, the RAAF’s Orion was quickly overhead. Less conveniently for the Russians, the splash down was about 200 km from the intended landing point, giving the Australian’s plenty of time to meet them at the scene. The weather also made recovering the BOR-4 tricky and it took several attempts to get it aboard. At one point the spacecraft also swung against the side of the ship, damaging its nose section. And all the while, the RAAF crew orbited at little more than mast-top height, getting detailed photos of the entire operation. It didn’t take the West long to figure out exactly what was going on. Commissar Titov was livid and desperately tried to have the second mission splash down moved to the much friendlier Black Sea. However the 200 km mis-cue of the first landing meant this was too risky and on March 15th, 1983, the next BOR-4 launch (serial no. 403) was pretty much a carbon-copy of the first – complete with an attentive RAAF P3C and a fistful of watching Australian Navy ships. 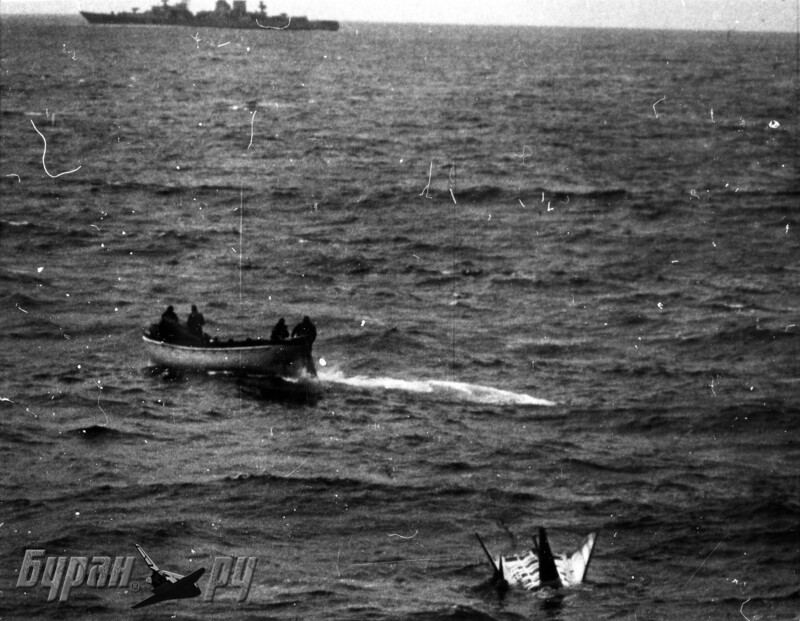 With two missions behind them, the Soviet Space Force could now predict where BOR-4 would land and so the following two splash downs were at last moved to the Black Sea, off the coast of Crimea. The first mission launched on December 27th, 1983 (serial no. 405), and the second was flown a year later on December 19th, 1984 (serial no. 406). There would be two further BOR test vehicles. 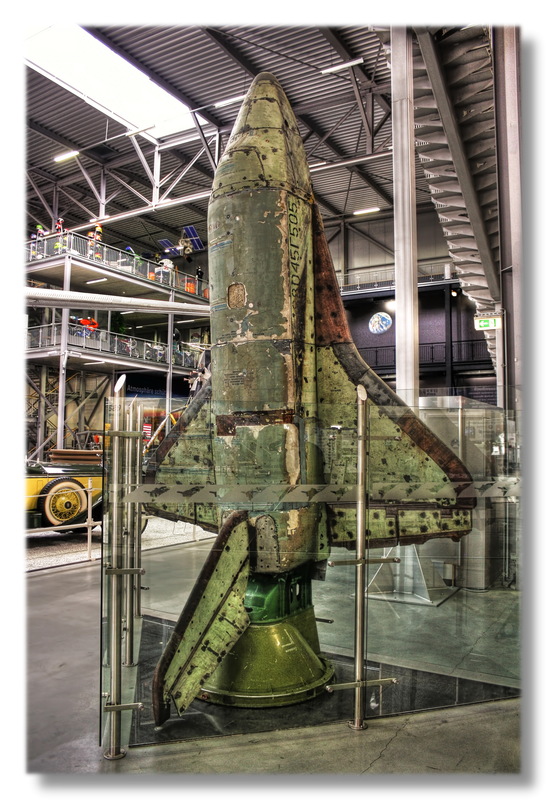 BOR-5 was a one-eighth scale model of the Buran, rather than the Spiral space plane, using the orbiter’s delta wing planform, single vertical fin and rectangular fuselage section. Launched by Kosmos rockets into a suborbital arc on five occasions between July 1984 and June 1988, it was used to test the aerodynamic properties of the Buran, along with thermal and vibratory loads. The first two flights revealed heat damage to the nose and wing leading edges, whereon the molybdenum was added to the thermal tiles and the following three flights were trouble-free. BOR-6 was another scale model of the Spiral space plane design, although it never appears to have flown. Back at Langley, NASA engineers had used the RAAF’s photos and video of the BOR-4 recoveries to deduce an amazing amount about the spaceplane. They were soon able to calculate the craft’s dimensions, and even worked out its weight from the video of it bumping against the recovery ship. 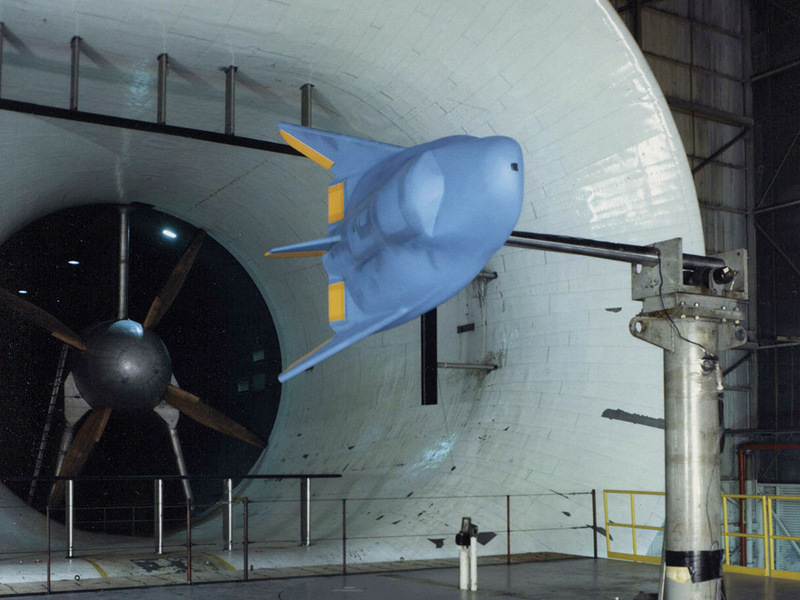 Before long, they’d built a wind tunnel model and extracted the balance of BOR-4’s secrets. What they found must have sent them scurrying into the archives for all those decades-old reports from Dale Reed’s lifting bodies. And the comparisons would have made interesting reading. BOR-4 appeared to be even more stable and manoeuvrable in flight than NASA’s earlier designs. By combining all the data they now had available, the Langley engineers felt confident they could design and build the ultimate lifting body space plane. Anyway, by 1990 enough work had been done for engineering students and staff from North Carolina State and North Carolina A&T Universities to build a full-sized engineering research model. This 9 m (29 ft) model was made from fibreglass, laid up on polystyrene moulds shaped with lofting data provided by NASA. 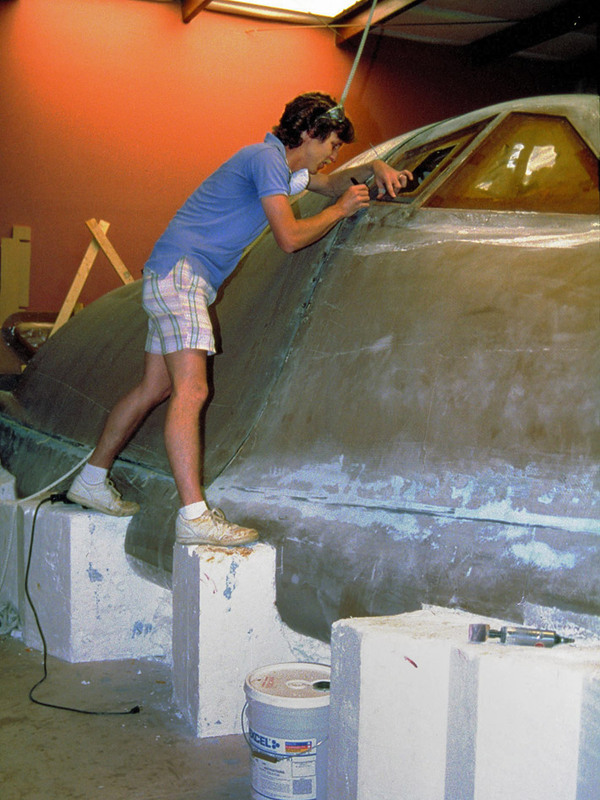 Internal bulkheads were cut from ¾” plywood, and the landing gear was modified from a Piper Navajo. Never fitted with any systems, the resulting shell was simply used to study internal configurations, system design, and human factors – all this in anticipation of a key role flying to and from Ronald Reagan’s envisioned Space Station Freedom. But all this big thinking was out of step with the times. Under the leadership of new Administrator Daniel Goldin, NASA sought to rationalise its ISS resupply projects. The commercialisation of the Russian Space Agency’s Soyuz system provided a more convenient, cost-effective and already operating solution. Work on the HL-20 mock-up continued at NASA Langley until 1995, before the model was pushed to the back of a hangar and all but forgotten. More on that in a minute. Meanwhile, the optimism of the 1990s had spawned visions of ever-larger lifting bodies. 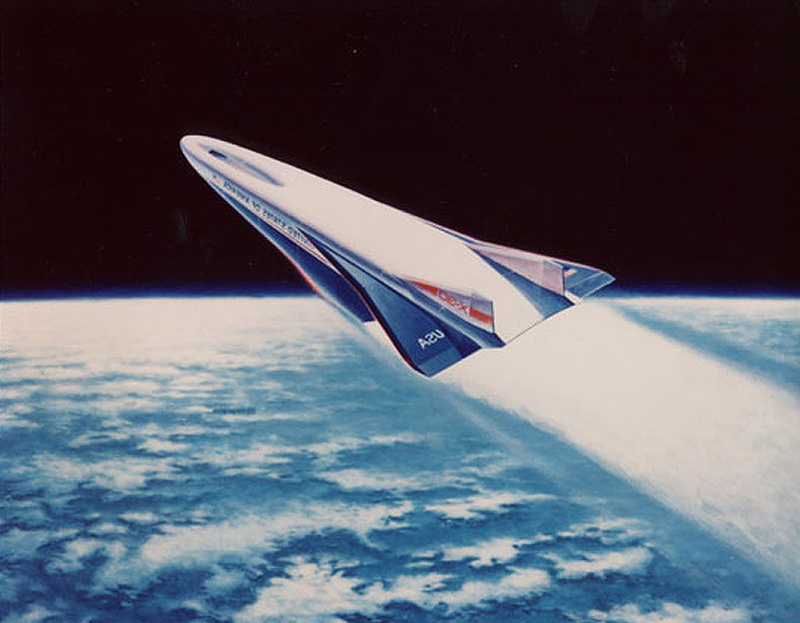 Under the impetus of this National Aero-Space Plane (NASP) idea, Rockwell developed concepts for a 136,000 kg, 50 m long scramjet designated X-30. However NASA soon identified serious deficiencies in the available power plant and heat dissipation technologies, and the plans were being archived by 1993. Much smaller derivations would appear as the X-43 scramjet and Boeing X-51 ‘Waverider’ hypersonic technology demonstrators in the ensuing decade and a half – both lifting body designs (although ‘Waverider’ specifically rides compression lift from its own shockwave). The NASP program itself was cancelled in November 1994, just as another NASA Single-Stage-To-Orbit (SSTO) Reusable Launch Vehicle proposal was morphing into the Lockheed-Martin X-33 and its commercial VentureStar spinoff. 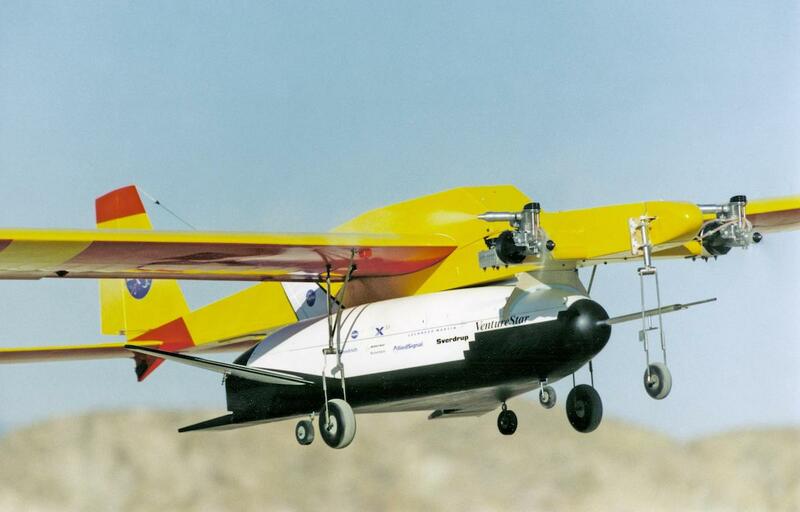 The X-33 was an unmanned, low altitude (well, 100km or so) wedge-shaped technology demonstrator with a length of 21m and a width – rather than a ‘wingspan’ – of 23m. Still, it would have bulked out at 95,000 kg and had a maximum speed of Mach 13+. 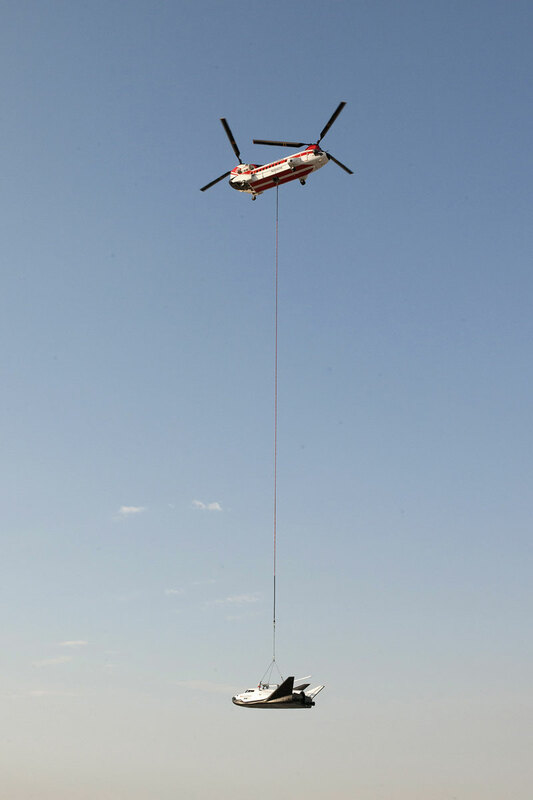 And that was just a scaled test-bed for the 38.7 metre, 1,000,000 kg VentureStar envisioned by Lockheed-Martin! An aggressive development program planned to have a contract awarded in 1994, an prototype flying by 1999 and a space plane operating by 2005. But again, none of it came to pass. An investment of over $1 billion couldn’t resolve problems with the liquid hydrogen fuel tanks, weight overruns and flight stability – and project funding was finally withdrawn in 2001. Even with 96% of the parts completed, the prototype 85% built and a launch facility completed, Lockheed-Martin decided they couldn’t afford to pursue the X-33 on their own. Back out at Edwards, too, researchers were working on a lifting body proposal as an emergency escape craft for ISS crews. 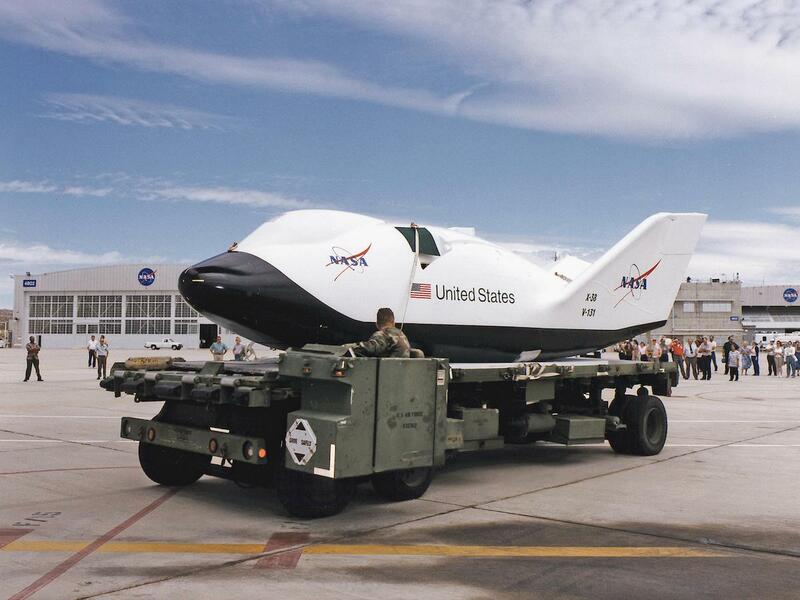 This proposed Crew Return Vehicle or CRV started life as the X-35, with input from the European and German Space Administrations. Evolving into the X-38, the 9m long ship drew on the perennial results of Dale Reed’s earlier lifting body experiments, but used a huge steerable parafoil to control the descent and landing. The entire flight profile would be automated, with a monitoring pilot on the ground. Scaled Composites were given a contract to build three new test vehicles. The first, tagged V-131, was delivered to Johnson Space Centre in November 1996. This was followed by V-132 in December 1996 and testing was conducted from Dryden Flight Research Centre at Edwards through 1997, 1998 and 1999. A first drop test was flown with V-132 in March 1998. Both V-131 and V-132 used the same shape as the (much) earlier X-24, and were built to 80% of the final vehicle’s size. V-131 was then given a more streamlined shell that dispensed with cockpit windows in keeping with the autonomous flight systems, and was re-dubbed V-131-R.
A prototype orbiter, V-201, was also built to be deployed from Space Shuttle, but this was never completed. In the end, the CRV program was axed too, the announcement coming on April 29th, 2002. It was another victim of budget restraints and the easy availability of Russia’s Space systems… And so all the research into reusable lifting body spacecraft faded from view. When private, commercial space flights started to look more viable in the mid-2000s, a small startup called Space Development Inc, or ‘SpaceDev’ came across the HL-20 in a list of cancelled NASA projects. A little digging revealed not only a ship with extremely friendly flying properties, but also a mountain of granular research to go with it. A true diamond in the rough, the HL-20 seemed to package up all of 60 years’ lifting body research by both Cold War superpowers. SpaceDev principals Jim Benson, Mark Sirangelo and Frank Taylor contacted NASA about taking the project over. The general feeling seemed to be that NASA would be glad to get its hangar space back. So the HL-20 was taken up by SpaceDev and renamed Dream Chaser®. In 2008, SpaceDev was purchased by Sierra Nevada Corporation as the core of a new Space Systems Division with Mark Sirangelo at its head. Sierra Nevada had been making components for spacecraft for years but, with the increasing commercialisation of space flight, it was looking to get into the main game. Dream Chaser gave them an inside track. Since then, fine tuning the 1990’s design has included better streamlining the cockpit windows, fine tuning the winglet airfoils, and installing self-contained propulsion. 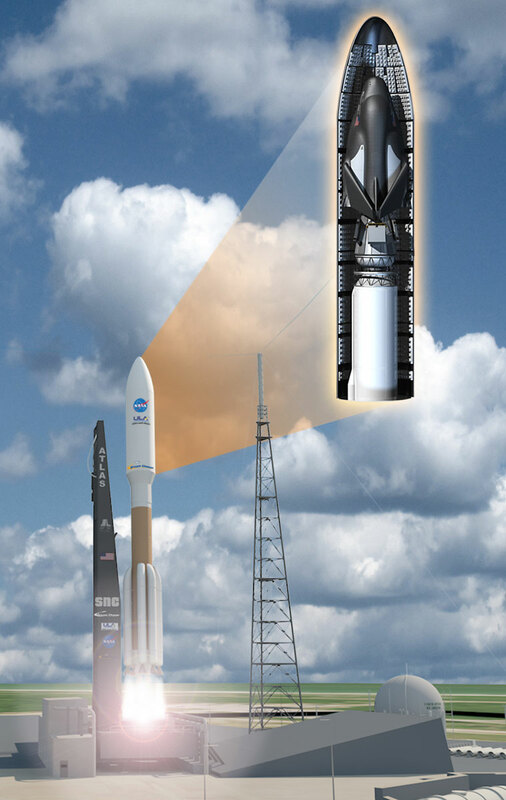 This last, in the form of hybrid rocket motors, gives Dream Chaser a 1,000 mile landing radius instead of the basic ‘glide zone’, plus the ability to escape a launch emergency much like NASA’s earliest vehicles could. 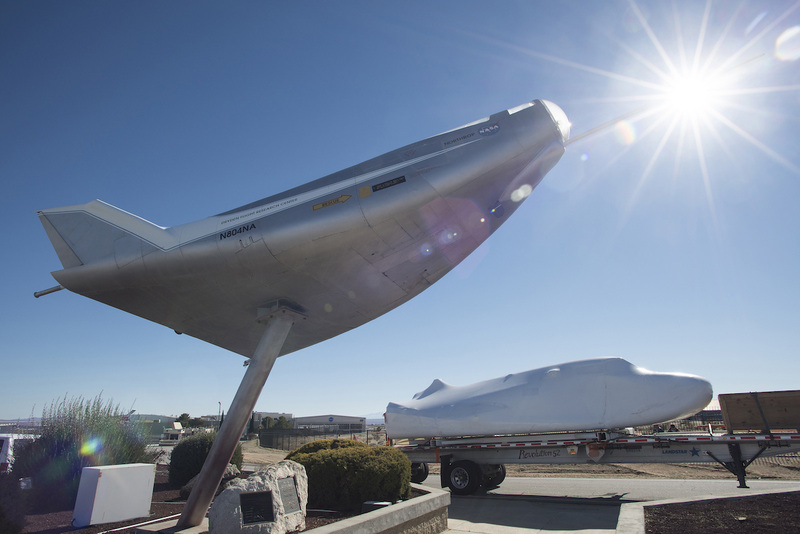 So, what’s next for the vehicle that started life as, well, every other lifting body concept? With the first Captive Carry test completed Remember? This is where we came in…) Sierra Nevada is working towards Captive Carry #2, then the start of a Free Flight test program, both planned for late 2017. 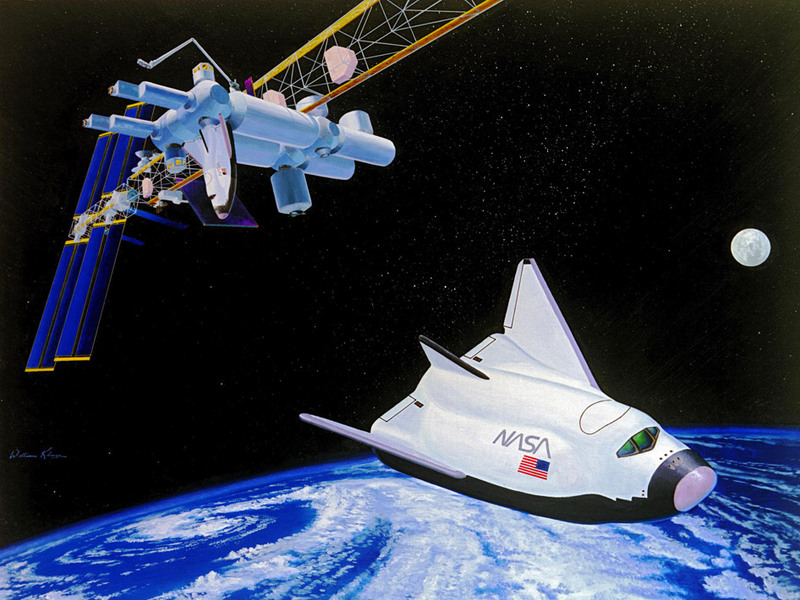 Dream Chaser has already won a share of NASA’s Commercial Resupply Services 2 (CRS2) contract, along with SpaceX and Orbital ATK, to provide to and from logistics for the International Space Station. CRS2 kicks in at the end of 2019, and Dream Chaser’s commercial service is slated to begin in 2020. It’s been a long time coming for the ‘Horizontal Lander’ concept. 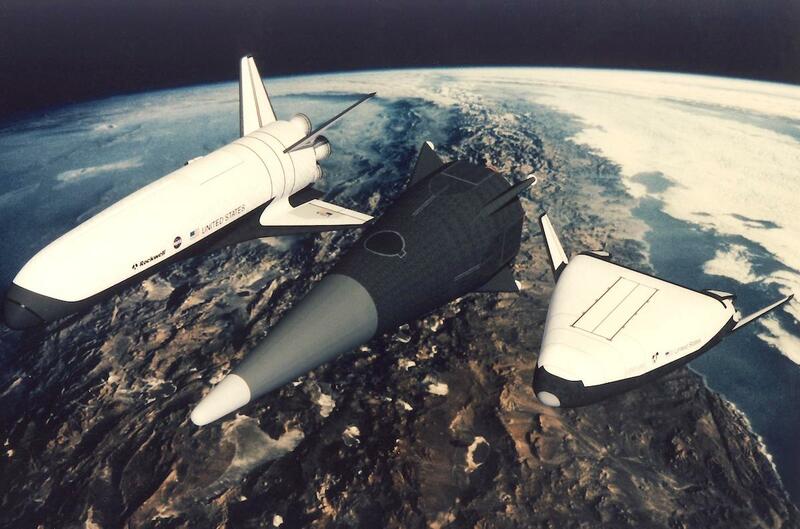 Ultimately, Dream Chaser will be built in two configurations – a crewed Space System carrying up to seven personnel, and an uncrewed Cargo System capable of carrying up to 5,500 kg per trip. Future craft can be custom-configured to meet other mission requirements. At 9 m in length, the crewed vehicle will have windows and seats, and have a self-contained propulsion system that can be used to fly clear of a launch emergency. With same crew capacity as a Space Shuttle but a quarter of the vehicle size, it will make travel to the ISS far more efficient and flexible. The dedicated Cargo System has been designed with folding wingtips, so it can fit into a faired container on the Atlas V launch vehicle. This shell means the vehicle can carry a disposable cargo module that isn’t restricted by its fuselage dimensions, and a solar array to provide power to the cargo or the ship’s systems for extended space flights. The nature of the craft means it can also bring pressurised cargo back to earth without ever jolting it beyond a coffee-rippling 1.5G. 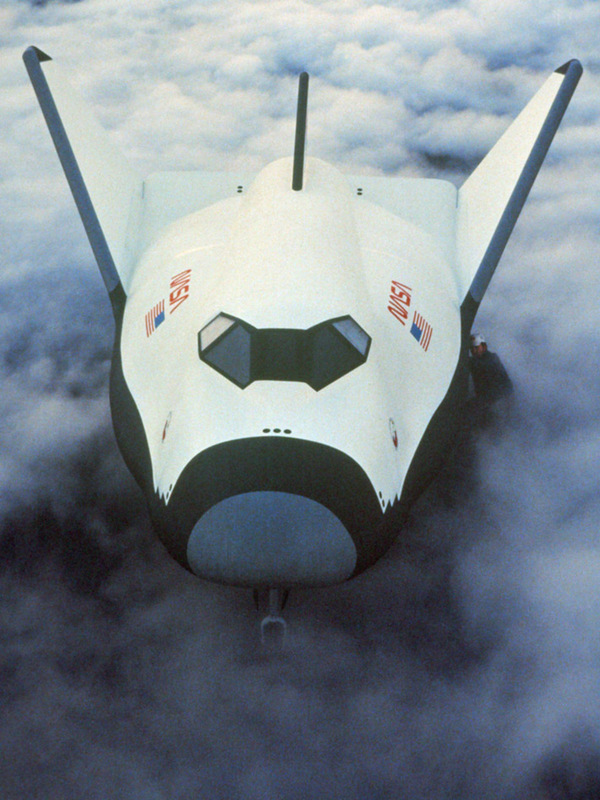 Even today, Dream Chaser looks like a killer solution for operating into and back from space conveniently and cheaply. The continuing development of recoverable launch systems like the SpaceX Falcom family could see it become more economical still. 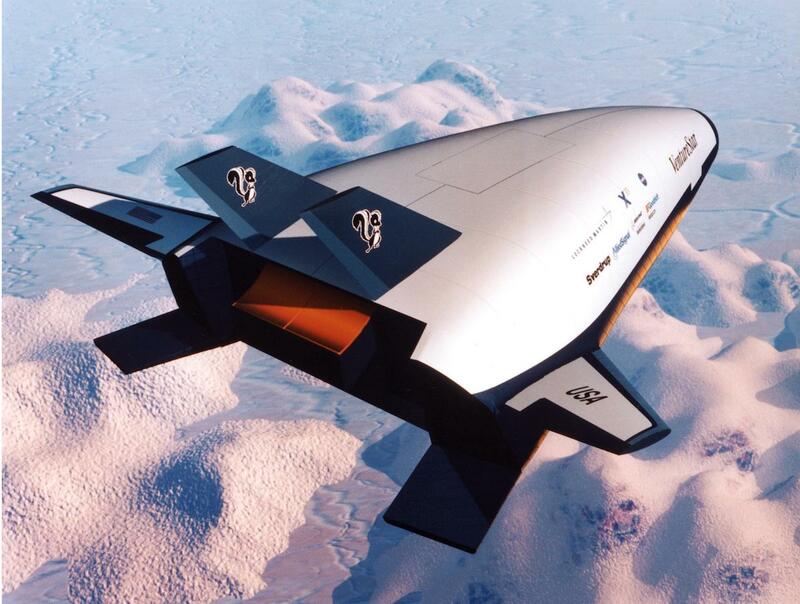 And the idea of a lifting body space plane is so aerodynamically robust, it could yet put more complex systems like Virgin Galactic’s White Knight/ SpaceShip combo in the shade. So the future is bright. But the past shines brightest. Because, more than anything, all this potential is a profound justification of Dale Reed’s original idea for a lifting body, and that little homebuilt he had made from steel and plywood way back in 1963.
catch up on Heavenly Bodies – Part I and Heavenly Bodies – Part II. Holy cow, that model was a little more than “scorched”! I’m surprised it came back in one piece. As always, I love the way you bring things “full circle”. You really should be teaching aeronautical history classes or writing books. Hmmm, I guess one could argue you already are via the blog… but I digress. If history repeats itself, just think of how much time money and effort the industry could save by not having to reinvent the wheel every few years. If I take anything away from the history of the lifting body, perhaps that’s it. Wonderful and exceptional writing of such a dynamic time in America’s space program! 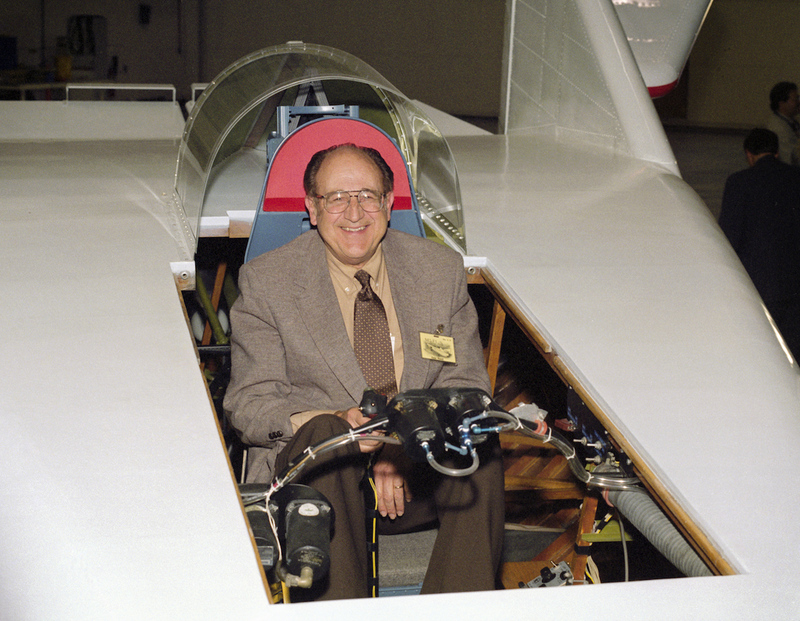 Although on first blush his name did not appear my dear cousin (once removed) the late USAF Col. James Wayne “Woody” Wood played an extremely valuable part in the development of both experimental aviation and aerospace vehicle design and testing. 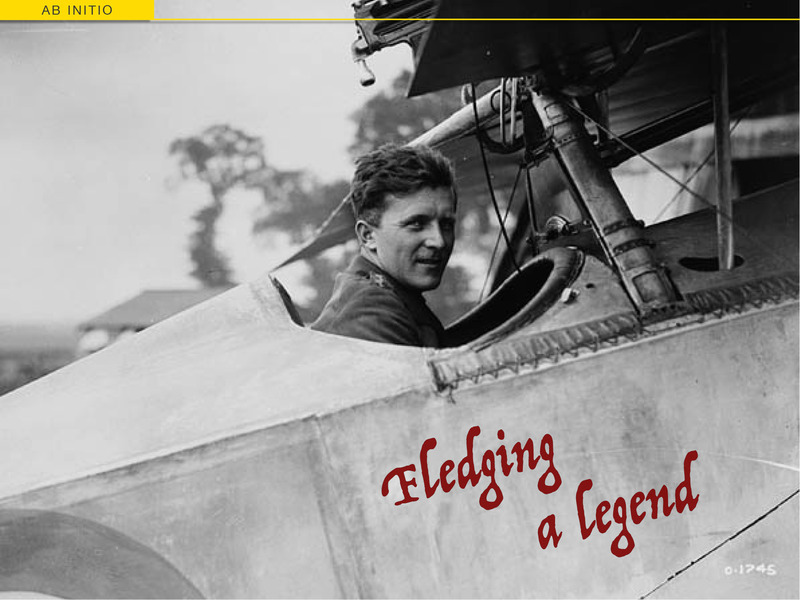 He spent 17 years of his Air Force career assigned and dedicated to flight test at Edwards. And collectively our family hearts were broken when only two weeks after the photo of Woody and 5 other astronaut selectees were on the cover of LIFE Magazine. McNamara had cancelled this far reaching program! Attached a story about Woody. From my earliest memories it is obvious he was a huge influence on my childhood. Thanks Rick. I remember you mentioning ‘Woody’ when we were chatting about N4713U last year. That’s him fourth from the front in the Dyna-Soar photo I used in Lifting Bodies – Part I. I see he also flew the M2-F1 twice on February 6th, 1964, but only on tow behind the Pontiac, before the Air Force transferred him to other things. That made him the fifth lifting body pilot. Unfortunately your attachment didn’t stick, but please email it to me and I’ll put it up for you. The X-20 was really only a welcome mat for this whole lifting bodies history but you’re right, it was a very advanced and forward thinking project – especially for its time. 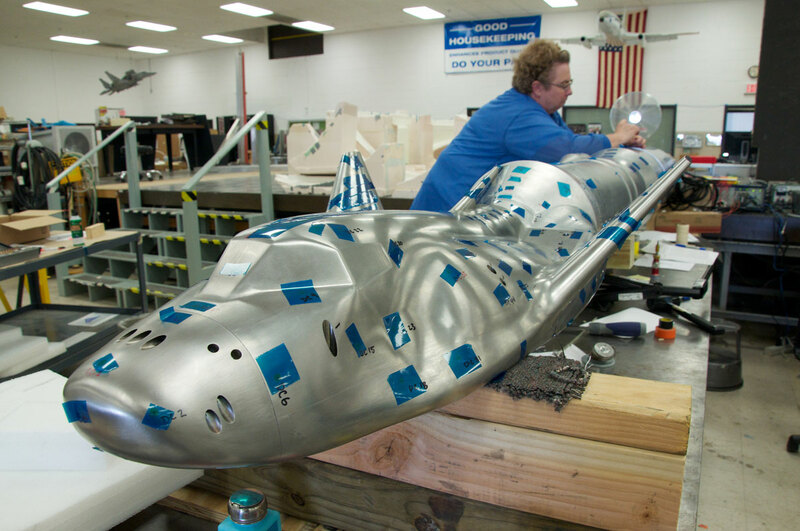 Dream Chaser is truly a fitting name for something that has taken decades of research to culminate!